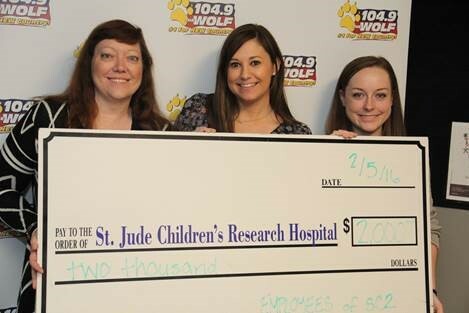 Every week our employees donate to the St. Jude Children’s Research Hospital out of their paychecks – we were proud to present a check of $2,000 at the WXCL 104.9 Country Cares Radiothon, in Peoria, IL! PreviousPrevious post:Congratulations to our 115 New Employee Owners for their accomplishment!NextNext post:NOW HIRING! SC2 Knocks Family Day Picnic and Baseball Game Out of the Park! Congratulations to Our 99 New Employee Owners!